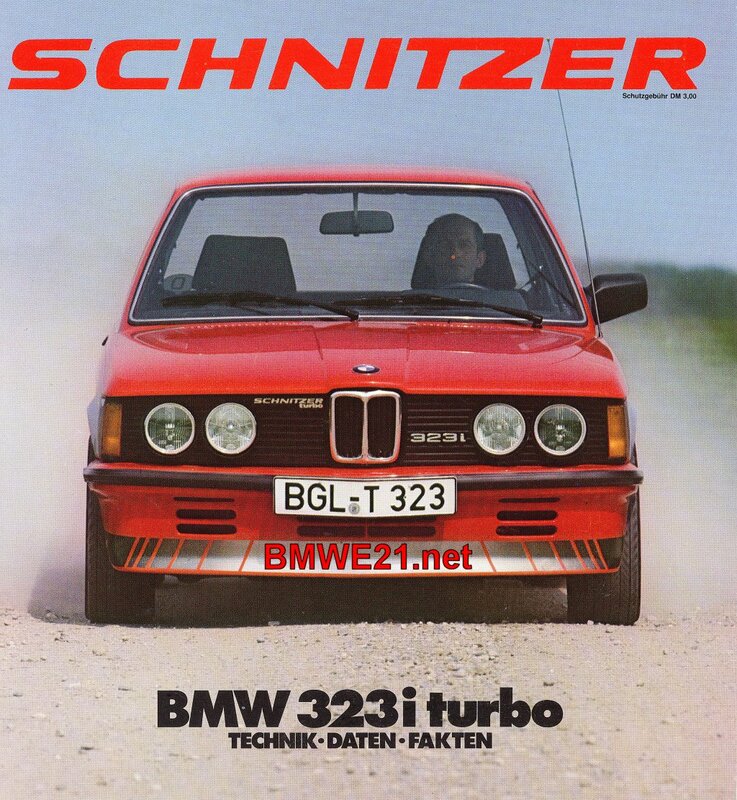 Schnitzer used their experience gathered with their racing champion the 1978 E21 320 turbo using a 1426cc M10 engine developing 400 BHP. 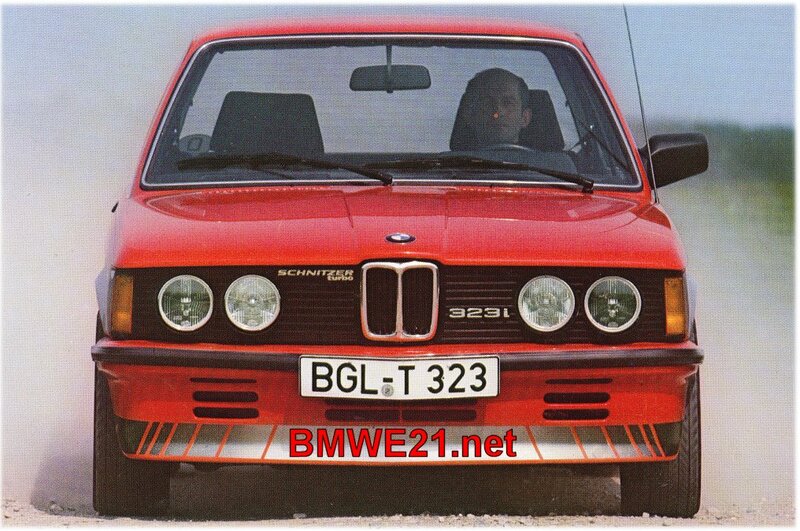 They took a stock 323i M20 engine, lowered compression and fitted a KKK turbo unit set at 0.55 Bar combined with a huge intercooler. The combination of a waste gate and bypass valve helped reduce turbo lag and nervous engine response. Modifications included the intake manifold, the cylinder head and the K-Jet fuel distributor. 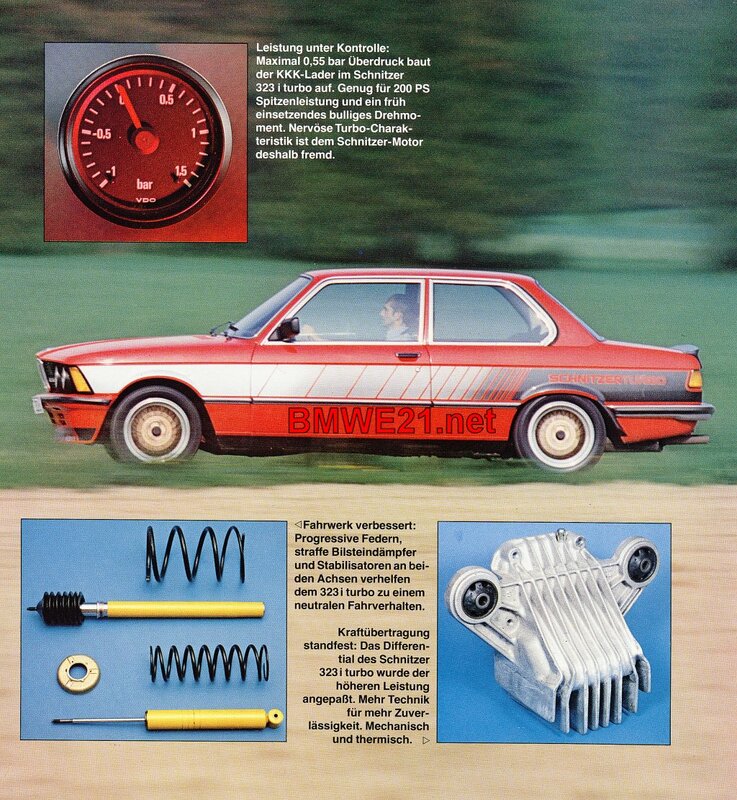 The important figures: max power 200 BHP @ 5.000 RPM, 272 NM @ 4.500 RPM. Top speed 225 KMH, acceleration 0-100 KMH 6.7 sec. optional: Schnitzer striping all around. 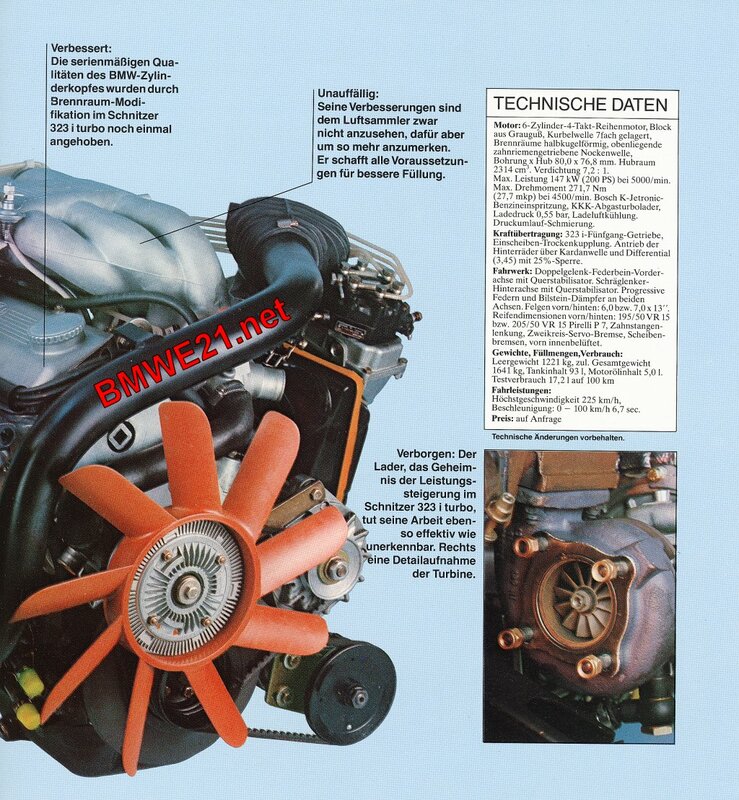 Here’s a few pages from the original brochure with mods explained and tech specs. 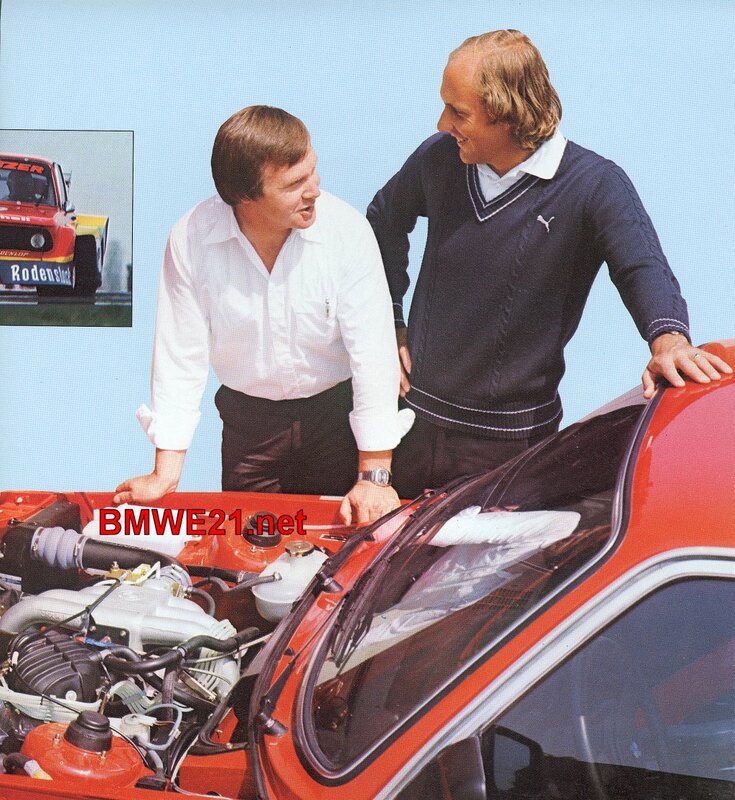 On the last photo you see Herbert Schnitzer together with his star driver in the Group 5 320 turbo: Hans Joachim Stuck.